The Good Food Box is a non-profit fresh fruit and vegetable distribution program. For only $15 you receive a box of fresh quality produce worth $25 or more. We also offer a smaller box for $10. We buy food at wholesale prices, with a preference for purchasing from Hamilton and Ontario farmers when we can. 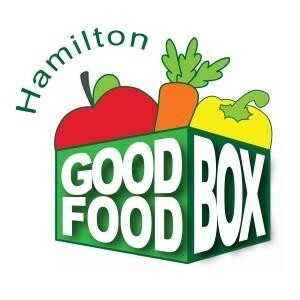 Crossfire is a part of The Hamilton Good Food Box Network as a Pick-Up location. Order your Good Food box, by dropping off your money in an envelope with your name and contact information labelled on the front. Orders are due by 8am the second Wednesday of the month. Pick Up’s are the third Wednesday of every month at Crossfire Assembly, from 3PM to 7PM.